I have had so much fun this year photographing twins -- especially twin boys! Since my little twin guys are now 5 years old, I really enjoy getting to spend time with these other adorable little brothers -- these cuties just turned one! Aren't they the CUTEST?!? I loved being able to work with this beautiful family when their munchkins were newborns, and was so happy to photograph their one year photos! These little guys are the happiest! Always smiling and laughing. They are such a treasure to photograph! Here are a few from our fun session. Thanks so much for looking! Contact me today to schedule your family session! One of the aspects of family photography that I love, is being able to watch the littles grow each year! I have done several family photo sessions for this gorgeous family, including newborn photos of C, and it is incredible to see how they grow and change into these amazing little people! Here are a few of my favorite images from the session. Enjoy and thanks for looking! I love taking photos of families and working with young children, but I get especially excited when I get to photograph twins, and in particular twin boys! Not that I'm biased or anything, having twin boys of my own! They remind me of what my little guys were like at that age. These little munchkins are absolutely adorable and I loved getting to spend time with them and their beautiful parents. Here are some of my favorite images from the session. Enjoy and thanks so much for looking! Don't forget to book your family session with me today! During a very special mommy & me photo session, I was able to spend time with K & C, and their beautiful mama, and capture the pure fun they have together as a family! From C's impish grin to K's infectious laugh, these twins have a blast together, and, they sure do love their mom! I need to remind all of you moms (and dads) out there to get in the photo with your kids! You will cherish the memories forever, and so will your children and grandchildren! Schedule a yearly photography session and document your time together as a family! The memories are so important! Here are a few of my favorites from the session (there were so many to choose from!) And, we had so much fun ending the session with a balloon race, that I needed to throw one of those images into the mix. Enjoy and thanks for looking! Contact me to schedule your next family session! I had the opportunity to do a very special mommy & me session for a gorgeous momma and her adorable twins! Though rain was forecasted for later in the afternoon, we were able to take advantage of a beautiful spring day and get some fantastic shots in celebration of Mother's Day. It is SO very important that moms get in photos with their children. Time passes so quickly and these session images will last a lifetime! Here are a few of my favorite images from the session. Thanks so much for looking and enjoy! Contact me to schedule your family session! 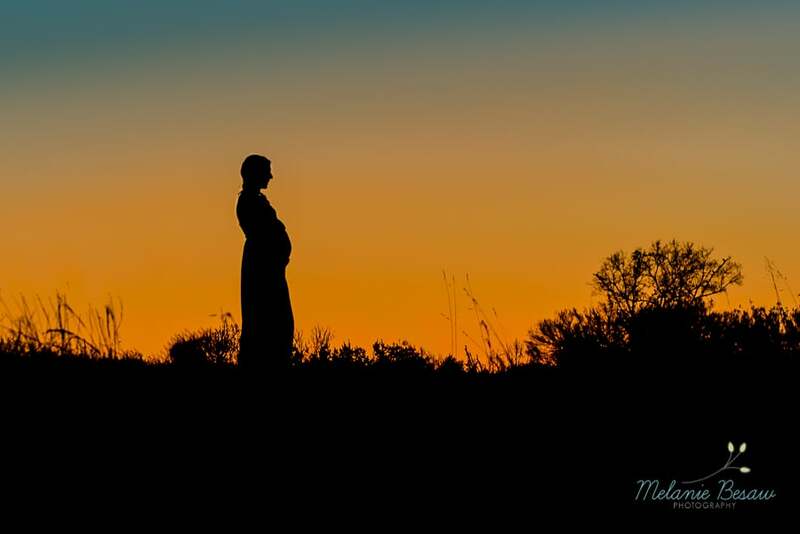 I am part of a blog circle that includes some amazingly talented photographers titled "Circle of Inspiration." 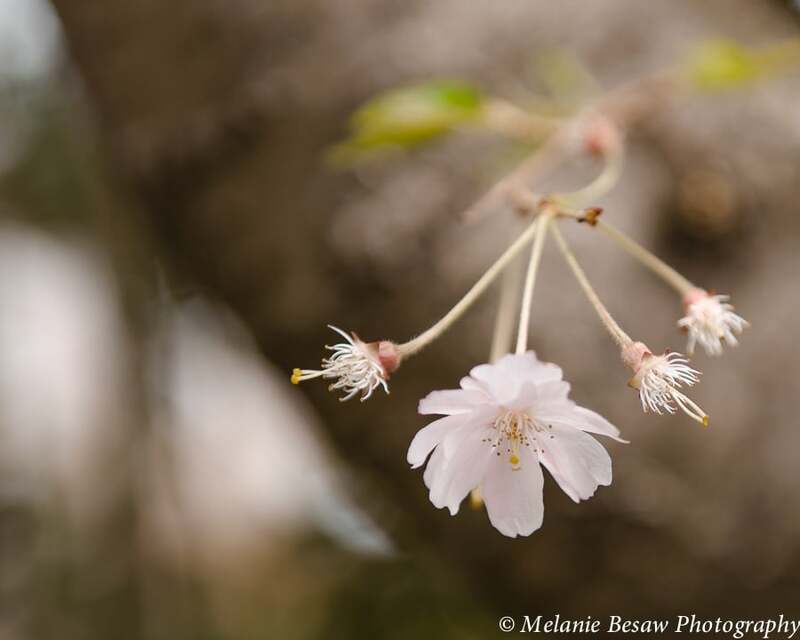 Each month a member chooses a different topic for the group to photograph throughout the month. The topic this month is "Out of Focus." 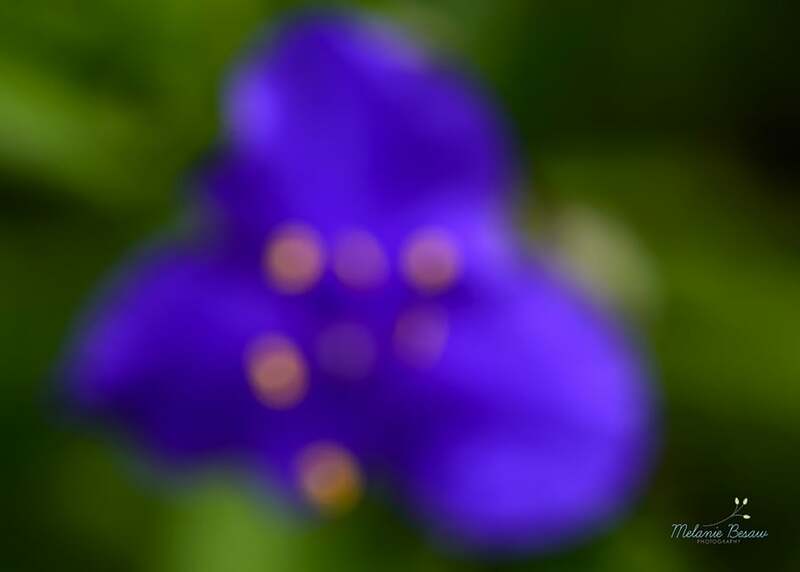 I was so excited to shoot images that are out of focus. I love creating images that create impact without targeting specific subject. The tones and color speak to the viewer and leave much up to interpretation. Here are a few of my favorites from this month. Please follow on through our circle of inspiration and see the beautiful images of the very talented Sarah Joos. A few weeks ago I had the amazing opportunity to shoot a maternity session set up by the amazing Kate Juliet Photography. It was such a joy to work with this expecting mama and her adorable little guy! There is just something about sessions with mothers and sons that makes my heart melt. We couldn't have asked for more beautiful weather! It is difficult to pick out my favorites from this session, but here are a few. Enjoy!!! Contact me to schedule your newborn or maternity portrait session! I am part of a blog circle titled "Circle of Inspiration". Each month a member chooses a subject or topic, and we spend the month shooting along this theme. This month's theme is "Out & About". I made the 11 hour drive to northern New York last week to say goodbye to my ailing grandmother. It was a bittersweet visit. The boys and I were able to visit family members I haven't seen in years, but it was heartbreaking to say goodbye to my grandma. We were in NY for 3 days and I spent a few afternoons walking around my childhood town. I'm not sure if it was my state of mind, or the muddy weather, or if time has completely changed this tiny town, but I was struck by the gloomy silence. The bar has burned down. The general store has closed. The bingo hall, I believe, is abandoned. Houses where I had spent so much time as a kid are decrepit - falling down and windows knocked out. The library, where I spent so many evenings of my childhood, however, has been renovated and stands as a peaceful and joyful memory. The old mill on the river was renovated and is a gem in this forgotten town. So many memories in this tiny stretch of neighborhood. Riding bikes, roller skating, playing kickball, swimming in the rapids, slumber parties at my best friend's house, bazooka joe bubblegum from the general store, sledding down the hill, afternoons at the merry go round near the abandoned one room schoolhouse. It is such a quaint area, and I hope that it builds back up over the coming years. Here are a few images from one of my walks. There is nothing that melts your heart like seeing a sweet and squishy newborn snuggling with mom and dad. R is the most adorable baby girl! I spent a few hours with her and her parents during the fall, just a few days after she was born. She is absolutely perfect! She was wide awake at first and then snuggled down to sleep towards the end of the session. Here are a few of my favorite images from R's session. Isn't she just a little darling? 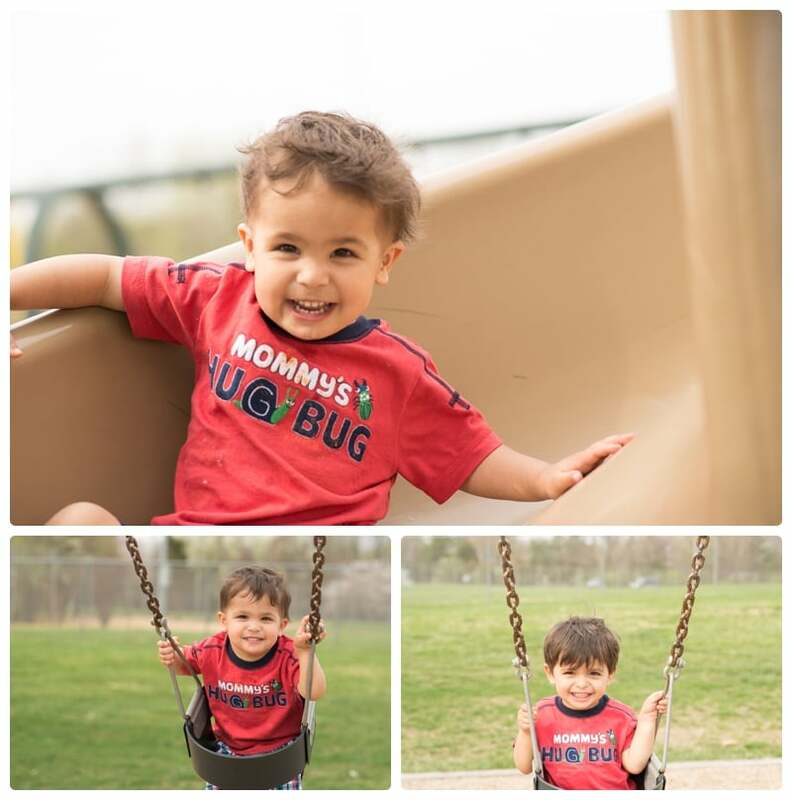 As a fellow mom of twin boys, I was thrilled when J asked me to take one year photos of her little guys! I just can't BELIEVE these little sweet peas are already one. It was so much fun to see them experience eating a yummy birthday cake just for them! P was a bit tentative, but B went right at it -- with no hands! These littles had such a blast with their cake that all their mother and I could do was giggle as they thoroughly enjoyed their delicious birthday cake! Here are a few of my favorite images from the cake smash. Contact me to schedule your child's one year portrait session! On a beautiful Saturday this past fall, I met this beautiful family at Bishops Garden at National Cathedral to take their family photos. It was a perfect day! It was gorgeous outside and this family is just absolutely stunning and such a joy to spend time with! The kids were able to explore and play in the gardens throughout their session and it was so much fun to watch them discover little ponds, colorful flowers, and little hidden alcoves. It also happened to be mom's birthday and they had a full, fun day planned following our session. It was such a perfect morning to start a birthday weekend! This was one of my favorite sessions this year! Here are a few of my favorite images from their session. Enjoy!! Contact me to schedule your family session today! In August I was asked to take some photos of this gorgeous mama and her 6 month old twin boys. As a fellow mom of twin boys, I was so excited to get to spend time with her and her cuddly babies! She has a beautiful home and we were able to take some fantastic shots both indoors and outdoors. Not only did mom and babies get in the photos, but so did the oldest furbaby -- we couldn't leave him out! Here are a few of my favorites from the day. I hope you enjoy! This fall I photographed one of my favorite couples and their adorable kids at Meadowlark Gardens in Vienna, VA. I have taken their family photos for the past few years and their sessions are an absolute joy to shoot. This session was no exception! The kiddos had a blast running around the large gardens and playing in the children's garden play area that Meadowlark has set up for the little ones. Mom and Dad looked gorgeous and were able to enjoy the morning and spend some time together as a family on an otherwise hectic and normal weekday. It was such a joy to spend the morning with them! Here are a few of my favorite images from their session. Enjoy! Another month of beauty. Beauty is not difficult to find in April! 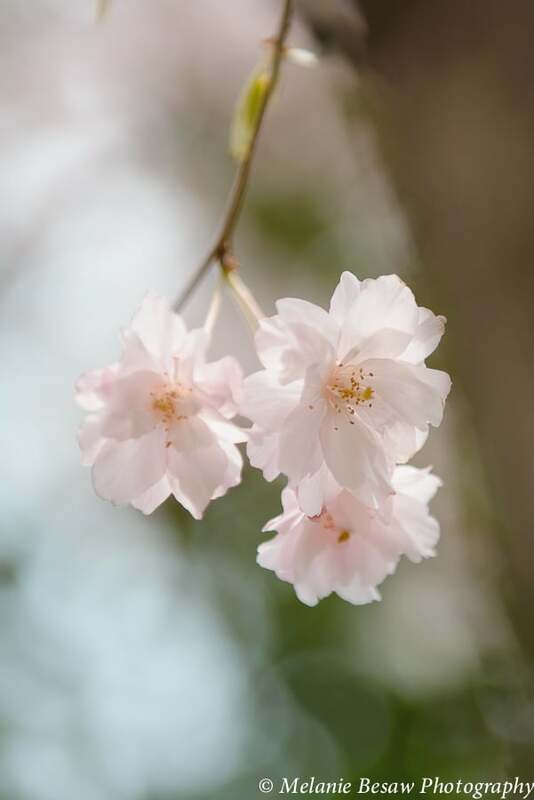 I love spending time outdoors in the warmer weather, enjoying the beautiful flowering plants and trees. Reston has so many gorgeous parks, trails and lakes. You can't help but feel happy surrounded by such beauty. After a very hectic February, I am now catching up with the March entry in the blog circle I am involved in, entitled "The Beauty that Surrounds Me'. Mother Nature was playing some mind games with us this March. There were several snowstorms, severe cold, and then beautiful spring days that would fool us into feeling we were past the winter doldrums. The beautiful daffodils in our yard were as confused as we were. And very persistent! They decided to break through the snow, determined to open to the sun. The day following this storm was beautiful and it was pretty amazing the change that the flowers went through within 24-48 hours. And then we had a second snowstorm within the same week and the poor flowers were again covered in snow. 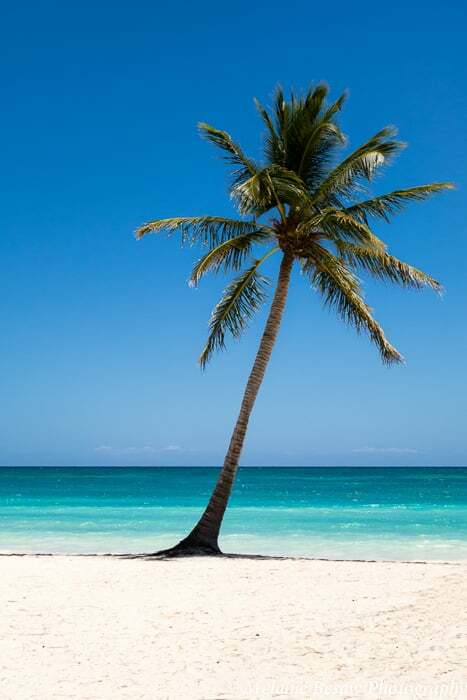 My husband and I were fortunate to go on vacation to the Dominican Republic at the end of the month, where we basked in 80 degree temperatures, bright sun, turquoise waters and palm trees. It felt like heaven. December flew by this year, and before I realized it, the holidays were over. We did many fun things together as a family, and one thing the boys really enjoyed was walking through the Festival of Lights at Meadowlark Gardens. You have reserved time slots to enter so that you have plenty of time to slowly walk through the gardens and view the amazing light exhibits. The boys had an absolute blast! At the end of the walk, there is a fire where you can make smores and a little stand where you can buy a cup of hot cocoa or coffee. The boys were a little too young and tired out to enjoy the fire at the end of the walk, but I'm sure that will be a different story by next year. We were super excited for Christmas this year and my mom and stepdad were going to come down to spend it with us. Unfortunately, my stepdad has had some medical issues and had to spend a good deal of time in the hospital, so they cancelled. On Christmas Eve the boys came down with pneumonia and ear infections, so they weren't too playful or too interested in presents. However, I did get a lovely image of Danny enjoying the Christmas tree and giving it a huge hut! I love photographs of ornaments, and took several photos. I found these to be so beautiful that I could just stand and stare peacefully at them for a while. And, finally, what holiday season can't be complete without some NYE fun! We took our boys out to dinner along with another couple and daughter around the same age as the boys. The little girl's mom made these fun signs that we had the three of them hold up, and this is what is most beautiful to me this month. That joy, sweetness and innocence is pure beauty. I've mentioned before that I love the morning light that shines through our kitchen window. On this particular morning, I noticed how the sunlight was filtering in through the blinds, and I sought to capture the beautiful rays pouring in. Here is a capture of a flower on the windowsill above the sink--this time in the early evening. As I was spending a lot of time in the kitchen, watching how light was reflecting off of the counters, table, etc., I noted the stack of plates in the cupboard, and how the light was playing such an interesting role in the various tones. I was also struck with the lines formed with the plates, enhanced by the light. I'm in the middle of a workshop that is guiding me into seeing various design elements within my frame. This is simple beauty that would normally be overlooked unless you took the time to really look around you and see it. One of my photographer friends has set up a blog circle with the intent of all of us looking a little bit deeper at our surroundings and capturing the beauty that we see. We are oftentimes so busy with our own routines that we glaze over those beautiful moments that bring pure happiness. This project aims to help us slow down, take a good look around, and appreciate what surrounds us. October, in my opinion, is the best month in which to start a project on recognizing beauty. The trees are a myriad of brilliant colors, the air is crisp and favorite fall activities are enjoyed by many. Just hearing 'October' brings forth images of hayrides, caramel apples, pumpkin spiced anything and everything, trick or treating, hot cider and spooky movies late at night while snuggled under a warm and fuzzy blanket. This is our first fall in our new home, and I love watching the leaves on the trees in our yard turning, and the sound of leaves crunching as the boys race back and forth playing with their wagon, or kicking a ball around. We now have the perfect spot for greeting trick or treaters and enough room to decorate with pumpkins. I made a good sized dent in the pumpkin bin at Trader Joe's last month and the boys have been having so much fun with them. We carved a number of jack-o'lanterns yesterday, and the twins loved getting messy helping me carve out the seeds. This is their first year understanding Halloween, and it was so enjoyable to experience their giggles for the first time when they saw the silly carved faces lit up with candles. In our home, we have the most beautiful morning sunshine the lights up our kitchen. 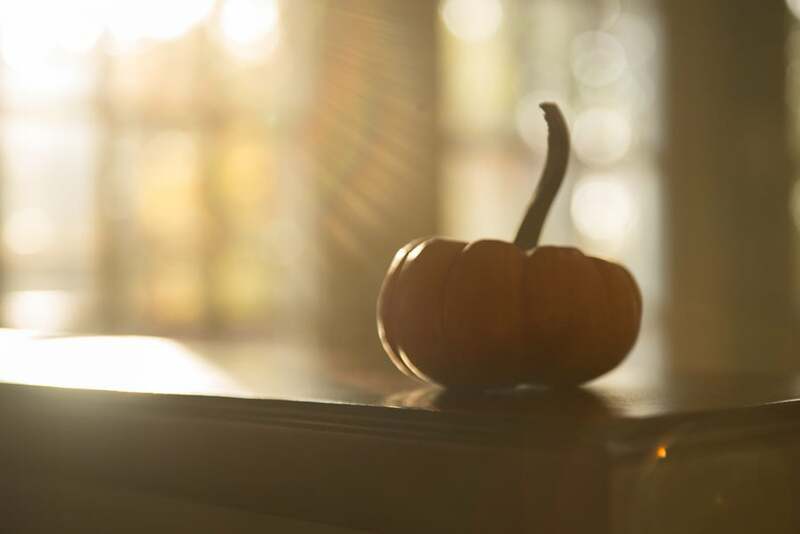 I happened to glance up during the pumpkin preparations and saw such gorgeous rays of sun falling on a baby pumpkin that one of the boys had set on the ledge. It stopped me in my tracks. I grabbed my camera and tried to capture those rays shining through the windows and the hazy orange baby pumpkin. As I circled the pumpkin, looking at the different effects the light was casting on it from different angles, I was taken with how vibrant and crisp the pumpkin looked from the opposite angle. More beauty--just at a different angle. So, there you have it. My first post about the beauty that surrounds me, in my little world. Take a moment and look around you and pay special attention to something you wouldn't typically notice. You may be surprised at the beauty you find! Dear sweet peas, My letter this month is about fun, having fun, and fun memories. I could probably overload this website with photos of the two of you being funny and having fun. Everything you do at this age is new to you, and fills you with so much joy and laughter. The words and phrases that the two of you come up with are hysterical and I really do need to start writing down some of the things you say, as your vocabulary grows. Now that the weather is finally getting better and spring has finally arrived, we are able to go to the playground more often. As most munchkins, you could spend hours at the playground and not get bored. Your daddy had to travel this month, so on one beautiful afternoon we had a fun time at the playground and then having a mommy/sons date at a mexican restaurant. Neither of you wanted to leave the playground, but all was forgiven when you had bowls of fresh tortilla chips placed in front of you! You've both always loved to swing and to play on the slide. During this playground trip though, you both were brave enough to go down the big and swirly slide, and to climb up the ladders all by yourselves. The shirts you are wearing in the photos below say it all--you are truly mommy's hug bugs!